Camping! The new (old) frontier! Nathan and I went on a 2-day adventure for his 30th birthday to the far reaches of Santa Clara County to the largest state park in California - Henry Coe State Park. Aside from the jerks in the camping spot next to us (note - if you are a douche, don't hold your bachelor party at a state park - kids and generally decent people, really don't want to hear about your sexual conquests, that, let's face it, are probably lies), we had a great time. The views were really spectacular and it was pretty amazing to explore such a variety of environments all within the scope of one day hike. We explored live oak forests, canyon streams, chaparral ridges and there were even some pine trees and a few redwoods for good measure. Not to mention a lot of wildlife. On the drive up we saw a young buck, at the campsite there was a very curious raccoon, and quite a few hawks and quail along the way. The challenge of managing my diabetes during the course of a day-long hike in a variety of terrain and high temperatures was a large one. Especially considering that I am still getting the swing of things and figuring out the particulars of how my body responds to exercise, and this was going to be a special circumstance as it was not a 30 minutes jog but a 6.5 hour hike. 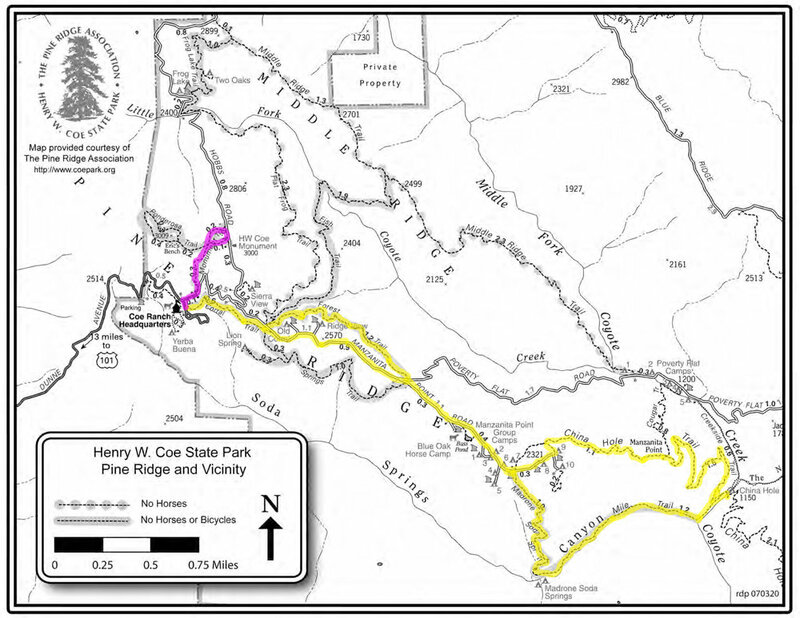 The map below shows our route (the yellow was our day walk - around 13 miles, and the pink was our evening hike - about 2.5 miles). The plan was that I would not take any fast-acting insulin but rather combine the exercise with a steady, reasonable intake of carbs, protein and fats throughout the hike to keep my blood glucose in a healthy range. We started out around 9:30am with a hearty protein laden breakfast of a salmon burger with scrambled eggs, gluten-free bun, and avocado. About every hour to hour and a half, I took my BG and adjusted as needed. If anything, I got sick of eating constantly to keep my sugars up. I just wanted to walk and not munch away on some almond butter or a lara bar. Lucky for me, my husband enjoys a snack or two, and was very good about not only getting me to test but also making sure we didn't go longer than 30 minutes without at least a bite of dried meat or some trail mix. To some extent, it became a bit of game, and it was really rewarding to see how well we were able to manage my numbers with consistent monitoring both of the actual numbers and how I felt as we climbed.